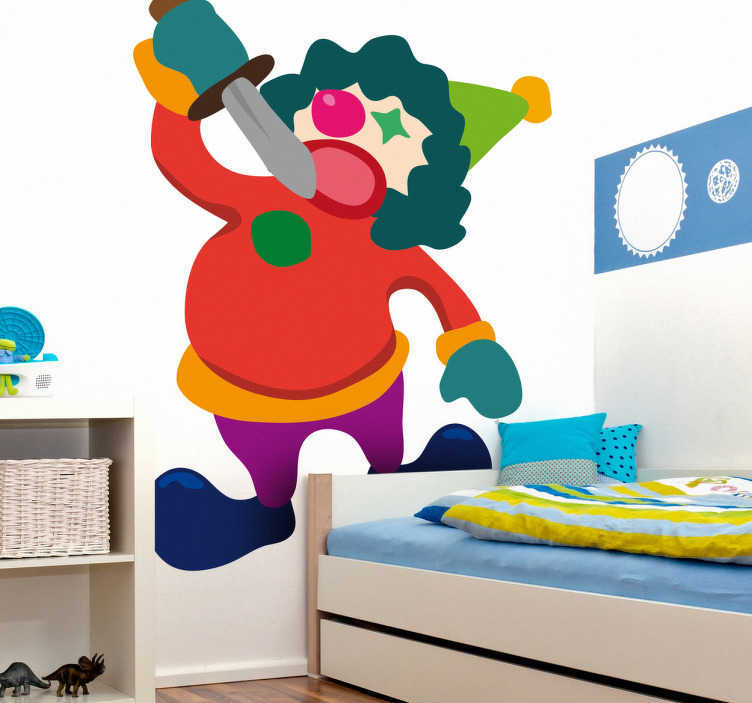 A kids wall sticker illustrating a colourful clown performing the sword act in which he attempts to swallow this sword with no problems. Great clown decal to brighten up your children's bedroom and play area! Super easy to apply and leaves no residue upon removal.